Do you want to hide your private photos and videos on your iPhone and iPad? In this article, you can see a list of 8 best photo vault app or photo video apps that let you easily hide your private photos and videos on iPhone and iPad. If you want hide photos and videos in a highly protected secret app on your iOS devices, this article goes to be very useful for you. Although, there are many photo and video vault apps available on App Store for iPhone and iPad, but we've listed only some very useful and secure photo and video hiding apps for your iPhone and iPad. You an choose any to these photo-video vault apps to protect your private photos and videos from others' eyes. 1. 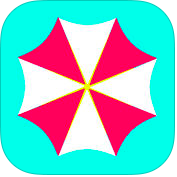 Private Photo Vault Pro - Safe Pic+Video Manager ( iPhone + iPad ) :- This is one of the best and popular photo vault apps for iPhone and iPad. With the help of Private Photo Vault Pro app, you can protect your special photos & videos by pin lock, pattern or dot lock on your iPhone and iPad. This app has lots of fantastic and user friendly features such as photo management, import or export from photo app, wireless photo transfer, video playback support and private web browser. You can also download photos directly to the app. 2. Video Safe 2 - Photos, Videos, Cloud, & Streaming ( iPhone + iPad ) :- Video Safe 2 app is one of the best and secure photo video vault apps for iPhone and iPad. With the help of this app you can secure your photo / video by unique gesture-based 'Photo Password or multiple keypads. With Video Safe 2 app, you can create a Password protected storage area for any image and video. You can create folders and sub-folders for better organising of images & videos, you can also animate GIFs. It has very beautiful and intuitive user interface, so you can easily use this app to protect your photos and videos on your iOS devices, you can import photos and videos via USB and and iTunes File sharing features. 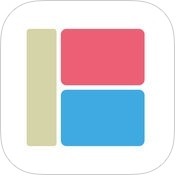 3.Private Photo Album Pro ( iPhone + iPad ) :- With the help of this app you can import unlimited photos / videos in private albums on iPhone and iPad. Photo Album Pro app has several amazing features such as option to hide or display your saved photos in photos import picker, sort or move the photos by a simple drag and drop gesture, you can set PIN at App launch, Password for private albums, and hidden private albums, customizable privacy level, photo editing features, more than 12 transition styles in animated slideshows and more. You can also share, backup and restore your photos and videos. 4. 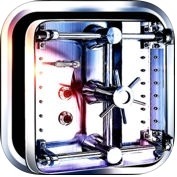 MyCalculator -Lock photos & video protecter ( iPhone + iPad ) :- This app is one of the best and convenient photo video hiding apps for iPhone and iPad. With the help of MyCalculator-Lock photos & video protecter app, you can secure your iOS devices and make it perfect and amazing. It has several user friendly features such as security, secret passcode, decoy passcode, folder passcode, export files to camera roll & computer, multiple formats support etc. 5. 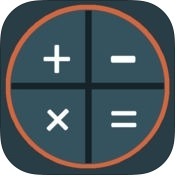 Calculator+ Protect Your Privacy and Hide Secret Photo ( iPhone + iPad ) :- Do you want to protect your photos and videos? You can use Calculator+ Protect Your Privacy and Hide Secret Photo app on you iPhone and iPad to securely hide photos and videos. This app has a lot of amazing features like add special photo & video into MyCalculator, hidden folder (make your files and folders invisible). You can export your files to camera roll, landscape mode support and more. 6. 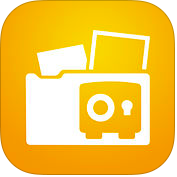 Vault – Keep your files hidden ( iPhone + iPad ) :- With the help of Vault app, you can protect your images and video on your iPhone and iPad. This app has lots of useful and excellent features such as password is require when you access photos & video privacy, support Dot Lock, fast iTunes file sharing sync, quick search features, sort files by date/type/size or name, high-efficient file manager and more. 7. 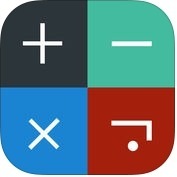 HiCalculator Pro - photo & video protecter ( iPhone + iPad ) :- With the help of this app you can hide your photos and videos behind a calculator. 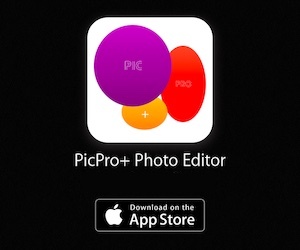 HiCalcularot Pro-photo & video protecter app is one of the best photo vault app for iPhone and iPad. 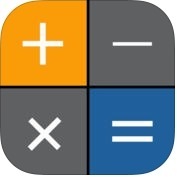 This app has several features such as secret passcode is required when access photos & videos, you can use as a normal calculator app, you can export files to camera roll & computer, it supports multiple photo and video formats etc. You can also sort files by date, type, size and name on your iOS devices. 8. Photo Vault Keep Lock Photos ( iPhone + iPad ) :- With the help of Photo Vault Keep Lock Photos app, you can lock and manage your private photos & videos, voice recordings, notes and other files very easily on your iPhone and iPad. This app has amazing and useful features such as handled multiple folders at a time, hide folders, you can create audio files from recorder or computer, support viewing several file formats, support Pinch and double tap to zoom and more. You can also lock any category or user with passwords on your iPhone and iPad. If you are looking for a free photo vault app to hide your private photos, this app would be very useful for your iOS device.